Divorce is distressing, so it may seem odd to think about being thankful. However, representing parties in divorces for so many years, I have witnessed a tremendous amount of gratitude. I never cease to be amazed by the support systems many clients rely upon during their divorces. Clients who have been physically or emotionally abused have often been isolated from their support systems by the abusers. The divorce process creates an opportunity to reconnect with family and friends and their support provides strength during challenging times. 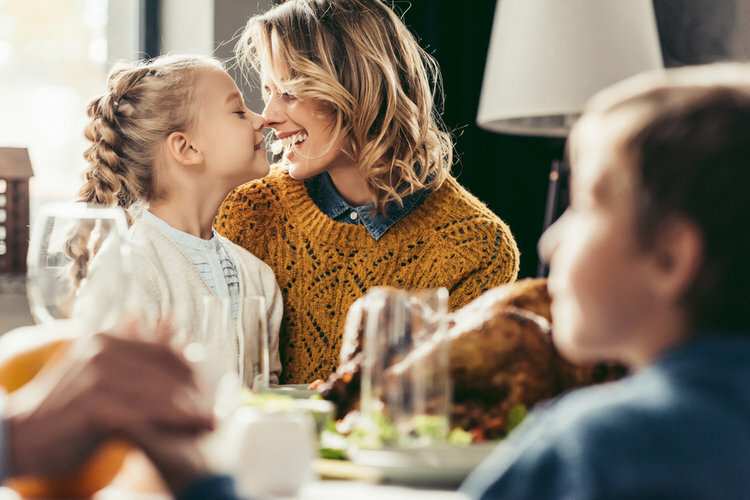 Holidays can be stressful and traditions can sometimes feel like obligations, especially when in-laws are involved. Divorce ends many traditions and obligations. New traditions are more about choice, spending holidays with friends and supportive family members. I hear so many times that clients felt like they were living on eggshells in their home. They were afraid for the children to make noise, make a mess or do anything to set off their former spouse into a fit of rage. They may have less money or a smaller home, but that home is peaceful. I love hearing stories from clients as they grow and learn to be on their own such as the mom who learned how to install a ceiling fan or the dad who taught himself how to make pancakes for his kids. It can be very gratifying to do something for yourself instead of having someone do it for you. I would be remiss if I did not point out the gratefulness I witness for the team. Give thanks for coaches, financial advisors, therapists, accountants and, of course, your legal team. It all goes back to my first blog post about fighting for people’s rights. A good team will believe in you and fight for you. Be thankful for that. Hopefully, even if your divorce has you stressed and depressed, you can find something for which to be thankful. Wishing you a happy and healthy Thanksgiving and strength during this difficult time. You will get through this and next year will be even better. Tick Tock….How long will my divorce take? You do not have to go through it alone. Gentile, Horoho & Avalli, P.C. © 2019 Carla Donnelly • Gentile, Horoho & Avalli, P.C.